Pictured above, our 2nd graders master the upper case letters. Despite being a lost art here in the U.S., cursive writing at EFDM is an important part of the curriculum. At EFDM, cursive writing begins in Kindergarten, with preparation for writing beginning in Early Childhood classes through activities and various art projects. 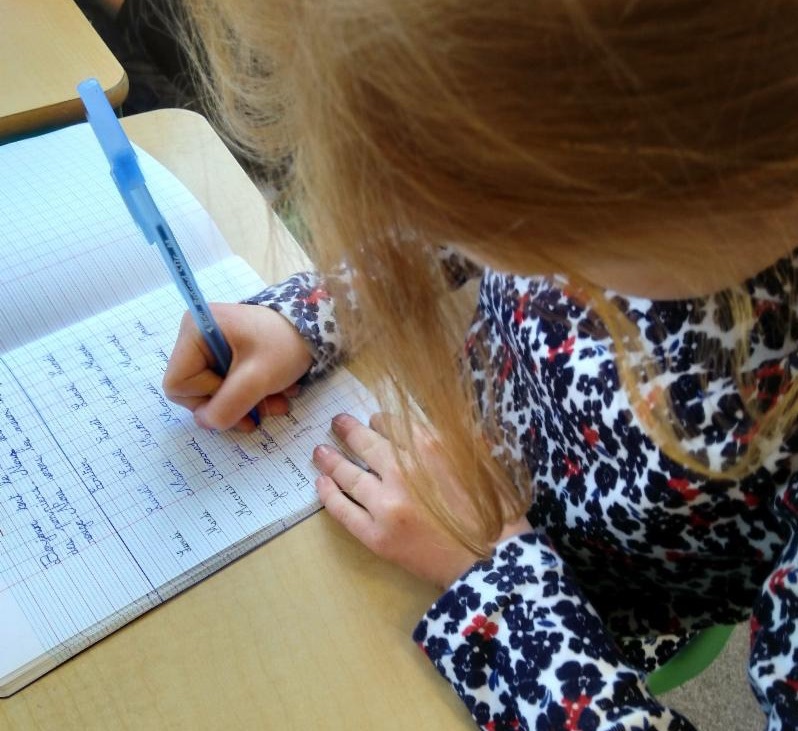 Cursive writing not only develops fine motor skills but also helps develop brain synapses and connections. The numerous advantages of this lost art include more efficient speed with writing to get ideas on the paper, prevents reversals and confusion of letters, develops muscle memory that helps enhance spelling ability, provides constant spacing from letters and spaces between words, and also helps left handed children with writing.